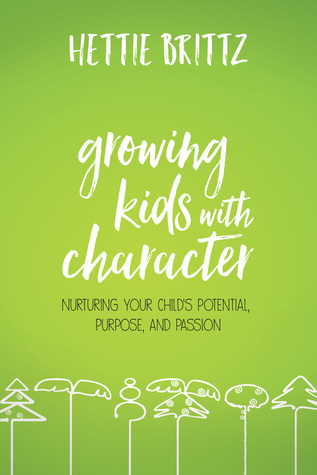 Growing Kids With Character (2018) by Hettie Brittz is a Christian Non-Fiction parenting text published by David C Cook. This non-fiction text comes in all forms including eBook, and is 272 pages in length. With a full-time job and a very busy five-year old at home, this book took me about three weeks to digest. This is not a book you want to go through quickly. There is a lot of good information to process, and I recommend taking the time to really read and understand the different ideas. I received a copy of this text in paperback form from the publisher, David C Cook, which I requested from Litfuse Publicity Group. I am not required to give a positive review. All opinions expressed in this review are my own. I give Growing Kids With Character 5 STARS. 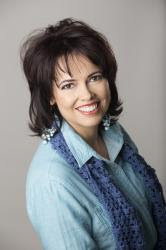 Hettie Brittz is a South African-born author, international speaker, and a foremost voice in parenting advice and personality styles. She is the author of “(un)Natural Mom,” the developer of the Evergreen Parenting Course, and the co-developer of Tall Trees Profiles. She heads up Tall Trees Consulting (USA). I have a beautiful, highly intelligent, unique, creative, stubborn daughter. Her name is Bella. Bella is my miracle baby, and I love her so much. Those of you who read my blog know how special and important Bella is to me. Bella is a first-born, only child. She is a plethora of positive attributes. For the most part, Bella is a mature child. She is a joy to take on adventures. We just visited the Getty Museum, and we had a blast! She loved the various pieces of artwork, the gardens, and visiting the Museum store. After almost five hours, she was done and asked if we could leave and get dinner. No whining, no fighting! It was a wonderful family day. This is typical behavior for my child, and I admit I am blessed. She is a pretty easy kiddo! But sometimes, when she’s in what I call her fighting moods, I’m completely at a loss as to how to parent her. Nothing seems to work when she’s in these moods, and I feel like a total failure as a mommy. When I saw that Growing Kids With Character was up for review, I had to jump on this opportunity, and I am so glad that I did. I learned so much about my child’s personality and how best to work with her in her typical good moods, and in her fighting-mood moments. When you purchase this book, you receive a code that allows you to take a test that helps you determine what kind of tree your child’s personality is. I completed the test with Bella in my lap, which I highly recommend doing with your own child[ren]. She had insight into her personality that I didn’t even realize she knew. The test took me and Bella about 30 minutes to complete. It’s a series of really fun cartoon characters going through various scenarios. After the scenario is complete, the tester is given a question and you choose the best option. Bella and I were pretty spot on where her personality is concerned. If she chose something different than what I was thinking, we were able to discuss why she felt a certain way, and then we made the appropriate choice for her. At the end of the test, you receive the tree personality that best fits your child, and then you are told what pages in the book to read through to better understand the personality, the typical behaviors of that tree, and what to do and don’t do in order to foster the positive potential, purpose, and passion of your child. My child is a Contra-Palm. That means she is a combination of Boxwood, Rosebush, and Pine tree personalities. The Contra-Palm kiddo tends to be independent, content to play alone, responsible, and very eager to do things right. This is my daughter to a T. Because she is a Contra-Palm I had to read through the Boxwood, Rosebush, and Pine tree chapters to sort out and learn the best ways to understand, soothe, talk to, discipline, encourage, etc., my child, which is why this book took me a while to read. I have been able to put some of the concepts I learned from this book into practice, and I have already seen marked improvement in my relationship with my child. For this reason alone, I highly recommend this book! Read the introduction chapter — it is NOT a waste of time. Read chapters 1-3. These chapters set-up and explain the whole point of the book. And, they have excellent reminders and quotes to write down on Post-it Notes and put around your desk or wherever you put reminders up in your house. For example, my favorite quote — “A parent living surrendered to Jesus is a better example of a Christ follower than a parent who tries to fake perfection” (23). Such a great starting point with this book — we, as parents, have to be all about Jesus first before we can be the parents God wants us to be. And, fake won’t cut it! Make a list of HOW you prioritize your child[ren]. This is not to make you feel bad or good. This is to open your eyes to what you already do! Take the personality test with your child — if that is feasible. Obviously, a newborn will be no help in this situation! LOL! Thoroughly read through each tree-personality chapter, and take NOTES! The beginning of each chapter starts with an agenda so the reader knows exactly what to expect from each chapter. There are scripts to follow. You may not use the script, but it’s nice to watch a scenario play out in your head. This book doesn’t make you feel bad for not knowing things! This may be what I like the best. There is ZERO condemnation here! I’m just super excited to have tools to make a better relationship with my daughter. WHEW! I know this is a BIG post today, but there is SO much to say about this fantastic parenting text. If you have children, or you are planning to have children, I cannot recommend this book enough. It will really bless you on your parenting journey.